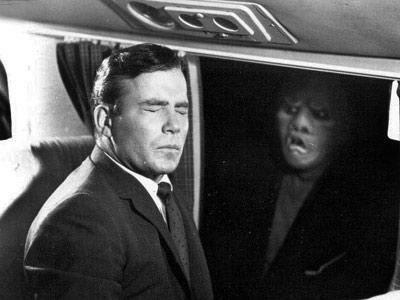 October marks the 50th anniversary of the first appearance of one of the most famous and creepy TV shows of all time, the Twilight Zone. It’s trademark theme song, narrator and mind-bending stories made it one of the most influential shows in history. The series was a bold journey into the shocking and amazing, and so it only seems fitting that Silver Oak is celebrating it with a whole bunch of shocking and amazing bonus codes! For the whole month of October you’ll be able to stretch your dollars further than you ever thought possible with the eight deposit bonuses in The Bonus Zone. 200% Slots Special – Redeem: SILVEROCT2 – Get an epic bonus and use it to go jackpot hunting on your favorite slot machine. This bonus has no maximum cashout. Only slot play counts towards the playthrough requirement. 185% High Bonus – Redeem: SILVEROCT6 – Score this mega bonus for any deposit over $100. 200% VIP Bonus – Redeem: VIPOCT1 – Get an incredible 200% bonus, available to our Silver Oak VIP members only. Not yet a VIP? Find out how you can become one right here. And there’s plenty more where those came from. Five more to be exact. You can find all the specific details when you check out our Twilight Zone bonus page. And we always have plenty more offers and bonuses available on our Promotions page. If you’re new to Silver Oak and haven’t tried out our huge selection of slots, video poker, table games and specialty games, then what are you waiting for? Take a second to download our free software right now. You’ll have complete access to all those fun and exciting games, our quick and easy deposit and withdrawal system and our industry-leading 24/7 customer service!